Who uses Overdrive? How does it work? Can I read the books on my Kindle? I do! You can read books on Kindle! I do mostly audio books, but Kindle is an option. You ‘check out’ a book like a library book…. then you have choices to read online in your browser or to download to Kindle or something else…. I do Overdrive. I check the books out fro my library to my kindle. I do! I love it!! So many books right at my fingertips!! Just download the app, add your local library, and check books out with your library card. So do you have to download an app to your kindle or just go to the website? I haven’t done it in a while so I don’t know if it will still work, but I used to do it without an app. I would access the website on my computer, check out the book, mark it as a Kindle download, download the file, connect my Kindle to my computer and manually transfer. I have kindle paper white so I don’t have the app on my kindle. From the overdrive website I select send to kindle for download options. I love Overdrive on my kindle. I get books through the library for free-Wonderful! Download the app and look for your library. Love Overdrive. The app on my phone is only for audio. I don’t have an app on my kindle. Maybe I’m doing it wrong? I browse on my laptop and then hook laptop up to kindle to get the book. Nope you shouldn’t have to do any sideloading for your ebook on kindle. Overdrive provides excellent video how tos but it might be quicker to talk to your local library -just have your card and pin or password ready. It won’t take but a few minutes. Once you check out a book on Overdrive, you select Kindle as your choice. Overdrive will take you to the Amazon website where you send it to your Kindle. Love love love! Easier than library books and save a lot of $$ on audiobooks. I use an app on my iPad and both the reader and audio functions work well enough that I often don’t put them on my kindle at all. But you can definitely use both the kindle and the kindle app. Many options! Overdrive is love. 😍😍 And Yes! I always read on my kindle though OD. Love it!!! And yes you can! I use my library card # and lease books out for free!! 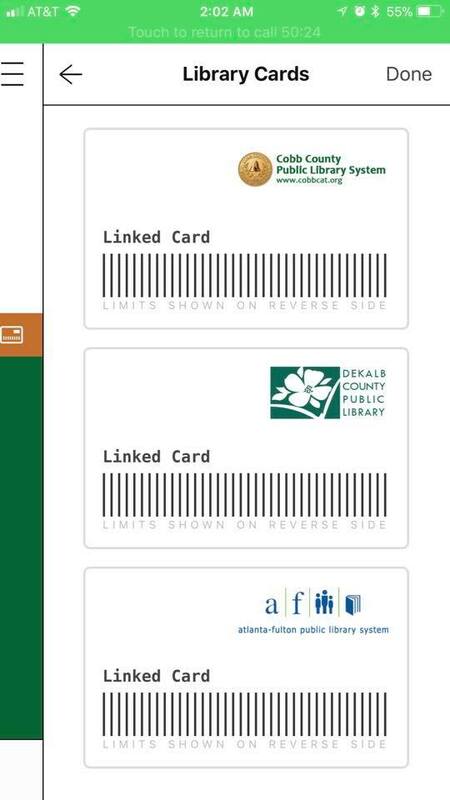 Library card gives you access. Kindle format is available for ebooks. Your local library can help you get started. I go to my library site and click on overdrive. I can then search and select for Kindle ebooks. It takes me to Amazon automatically for the download. Easy peasy! Go to “advanced search” and you should be able to narrow the search by clicking on kindle. You can choose to search only books currently available as well. I put both the kindle and audio on hold and check out whichever one comes in first. If you put your kindle in airplane mode it won’t disappear until you take it out of that mode. If you turn off WiFi or put your Kindle in Airplane mode, you can retain the book until you turn WiFi back on or take it off Airplane mode. This means you can’t download anything else to your Kindle, but I use this on long books once in awhile. Your book ‘license’ is still clawed back by Overdrive so the book is available for lending to the next person on the Hold list on time. Jean Caton someone else mentioned that even though you didn’t return the book it goes back in the library queue after it expires but will stay on your kindle until you turn on WiFi or take it out of airplane mode. Not sure if it’s true but now I have less guilt too! It’s true. I have three Overdrive books downloaded on my Kindle right now and once I download them, I put my Kindle in airplane mode. I don’t have a lot of time to read so it takes me forever to finish a book. Also, don’t let your battery die because once you turn it back on, your “overdue” books will disappear. Don’t take this the wrong way but you are defeating the purpose. It is just like borrowing a physical book from the library. It needs to get returned so that someone else can borrow it. If you keep it longer than you are entitled to you are preventing others from enjoying that book too. Same goes for those who finish the book early and don’t return it. Others are waiting. The library may only own one digital copy. Please return as soon as done! Louise I think it goes back in the library queue when it expires making it available to others. I always return when I get done before it expires. I return early if I finish the book. Until you do that it is not available to anyone else. If you disconnect from the internet the book may still be on your device. In that case it would expire after the lend period and be available to others at that time. Yours would be “bootlegged” until you reconnect to the internet. If you can’t listen/read to a book during the lend period you should buy it instead and read at your leisure. The library is a service for all of us to enjoy freely. This is why the wait is so long. Sorry this is my pet peeve. Read and return! It DOES get returned to library on your return date regardless of whether or not Kindle (or whatever ereader app you use) can erase it from your device. You are NOT blocking any other library user’s access to the book while your device is disconnected from WiFi. If you want to return it EARLY to make it available for someone else, that’s great. I often do that. But the book will automatically be unassigned to you and made available to the library pool on your return date whether or not WiFi is turned on on your device. All the time, love it, absolutely yes you can! It is super easy to use. You can create a wish list of books you may want to read but don’t want to check out right away. I do that when I hear about new books. If a book is not available from your library you can request they purchase it and have them let you know if they do. I’ve done this several times and had them bring in books to check out. I recently recommended that my library buy the new Wiley Cash book in ebook format. Voila, about ten days later, “The Last Ballad” appeared in my Overdrive Loans section. I was first on the list. This is a GREAT book BTW. Overdrive is also available as the Libby app, which is easier to use if you are using multiple libraries. The search function is better too. I have Overdrive on my tablet and Libby on my phone and they work together. I have used it for years for audio and ebooks. It is easy to use. Good instructions. Downloads to kindle. My public library offers it. That’s all I use on my kindle!! I have this sick addiction of playing my hold lists against each other — the one on Overdrive and the one for the physical book at the library. I check in every day. It’s twisted. I love Overdrive tho! I do that too. I juggle books. If two look like I will get them st the same time, I suspend the hold on one. Overdrive is great but it has some bugs. It’s replacement is Libby. It’s great too. Libby is much buggier for my area, I deleted it after a few months and went back to Overdrive. I use overdrive during my commute. The only downside is 3 week loans. I don’t always finish the books. If you have an old smart phone, download it to that over wifi and put it on airplane mode. Yes, but since I don’t use it regularly, I sometimes forget what to do. Then I go to my friendly library and they ALWAYS can help me! I do! Love it for audiobooks from New York public library. A regular book gives you the option to either download the book to the overdrive app or kindle. Yes, I am so bad that I use three different countries Libraries. If you do this download Libby app and you can have all of your overdrive in one app and can flip between the different Libraries. Greta, the Overdrive app is for your tablet or your phone to download audio books you can check out through your library card. You can read on your iPad or tablet when you check out the book to your account, choose ‘read in browser’ and it will open a new browser page for your book. Each of these options is available through Library to Go. Yes I use OverDrive and yes, I can read through my Kindle app. I use theOverdrive app then choose to download on my Kindle app. Same with Hoopla, another library book app. I have the app on m iPad. I borrow library books all the time. It’s great! Love it! I don’t use the overdrive app, though, I use the kindle app. I borrow the books by using the library website on my desktop computer, and at the checkout time, I select “kindle” and then it is available on all of my devices, in the kindle app. Yes, for ebooks I select Kindle as well. Yes, Overdrive does support and provide Kindle books. I use both the Overdrive app for the audios and find Kindle books at the Library site and download the ebooks to the Kindle. Overdrive is the site behind many of the Public Library ebook collections. Your local library should be able to assist you in setting up an account.